Use multiple Telegram accounts at the same time. Is there a better alternative to Grams? Is Grams really the best app in Chat category? Will Grams work good on macOS 10.13.4? Have you ever wanted to use multiple Telegram Desktop accounts at the same time? Are you a marketing manager or just want to separate your personal life from work? 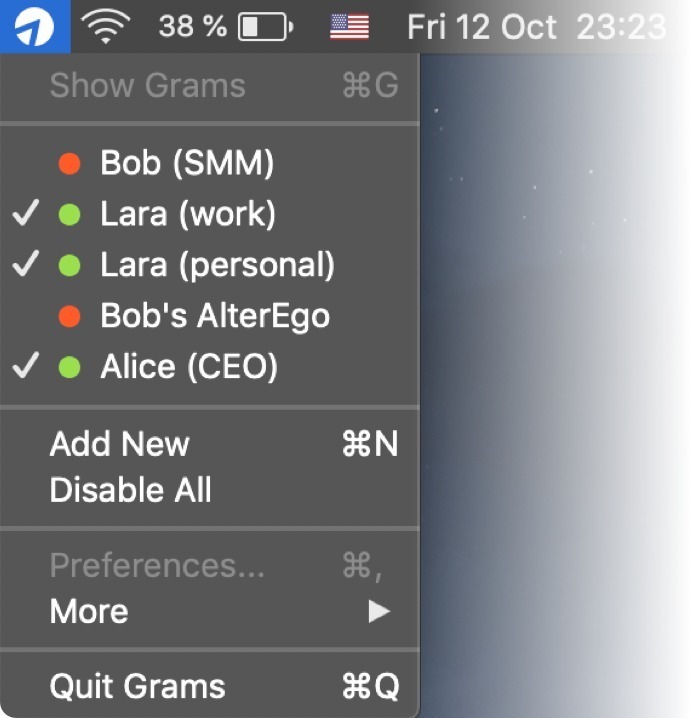 Grams can run an unlimited number of Telegram Desktop accounts simultaneously on your Mac! Grams needs a review. Be the first to review this app and get the discussion started! Grams needs a rating. Be the first to rate this app and get the discussion started!